The new M404 hybrid bond is now part of the Cafro stock list. The company, which has recently joined the Mirka Group, reports that in its manufacture of carbide mills and drills, the main requirement is working time reduction. This is said to particularly apply during the fluting operation. 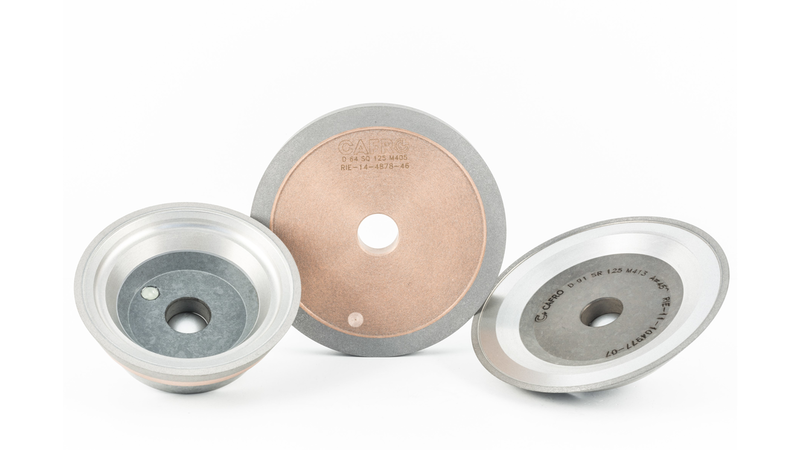 Tests on CNC grinders have apparently shown that the new M404 hybrid bond allows for higher stock removal with lower power absorption, a longer dressing interval and a better surface finish than the market benchmarks. According to the Italian exhibitors, the wheel is silent during grinding, there are no vibrations, both the wheel and workpiece remain cold, power absorption at the spindle remains constant, and there are no absorption peaks. The new hybrid bond is now part of the Cafro 2017 stock list, which has been expanded and improved thanks to new technical developments. These include the new Standard Line CBN products (quality WD) and the new bond family EDG, which is described as a resin bond with the best profile retention.